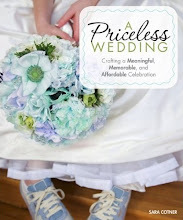 Generate a List of Planning Questions: Planning a wedding can be a stressful undertaking (is that an understatement? ), and it can help if the officiant takes a proactive role in guiding the planning and execution of the ceremony. If I were officiating a friend's wedding, I would generate a list of questions such as: What is your vision for your wedding ceremony? Do you want to revise a pre-existing script or write an original one? What kind of tone do you want me to set as an officiant? What is your ideal deadline for finalizing the ceremony? How often and when should we meet to work on it? What kind of clothes do you want me to wear? Do you want me to coordinate the rehearsal? How else can I help? If you anticipate that your friend may be unsure or indecisive about any of these questions, it might be extremely helpful to come up with a few options to present to the couple. Start Meeting with the Couple: Ceremony planning should be a priority. The earlier you can start meeting with the couple, the better. Bring your list of questions, but let the couple decide the ultimate direction of the meeting. Then, just listen and take notes! Remember Your Role Is to Serve: As an officiant, it is your role to help the couple execute whatever wedding they feel represents them. Even though the traditional wedding ceremony places the officiant in the center, ultimately, the officiant is more of a facilitator. Pick Someone Who Knows You: The most meaningful and sincere wedding ceremonies I've seen usually have an officiant who truly knows the couple (or at least one partner). Decide What Kind of Ceremony You Want: Start with a vision for what kind of wedding you want to have and then pick an officiant who can help you reach that vision. And don't be afraid to pick an officiant who truly embodies the kind of ceremony you want, regardless of what disapproving family members may say. Start Early: It's easy to put off the planning of the wedding ceremony because it's hard. It's a lot easier to dwell on flowers or shoes. But don't let yourself procrastinate too much! The ceremony is the heart of your wedding. It's the proclamation and cementation of your marriage. 2000dollarwedding kindred spirits, what other advice do you have? i am SO glad you posted this. i just found out 2 days ago that my pastor, who is stationed on the east coast, is staying there and won't be here for my ceremony (or ever.) :( this made me incredibly sad, as i do not have any other religious officiant i want to marry us. Yay! Thanks for posting this question. I'm excited to read the comments, and your list helps me get a good starting point. 1. Be clear on who is expected to research & write the ceremony - you or the couple. In our case, we wrote most of it but have several sections where we specifically wanted him to write in his own voice. But we still gave him a direction of what we wanted(welcome speech, meditation, announcement of husband & wife). 2. Stay organized. Whatever works best for you - but have one place where you compile your readings, example ceremonies, contact info for people involved, paperwork, etc. 3. If you are not a JP or minister, be clear about what the state and local guidelines are. Our officiant has been awesome about his application to the state to officiate. He handled everything in a very timely way. 4. One reason to start planning early - find out very early on if there's something about what the couple wants that you don't feel comfortable with. Like getting practice to be comfortable speaking in front of people. In our case, it was important to pick somebody who knew us well but also is pretty outgoing and happy in front of a crowd. 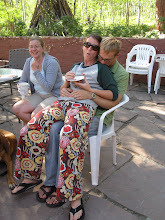 Additionally we're having a non-traditional ceremony and we didn't want somebody who would feel wierd about something a little more touchy-feeley. One wedding I went to had a great component which might help you. The officiant had each partner write a letter to her about why they wanted to marry the other, but the other couldn't read it ahead of time. That helped guide her in planning the ceremony and she directly quoted from the letters at certain points. It was really touching. I was the celebrant at my friend's wedding in California. I didn't want to deal with legal stuff, so they got hitched at City Hall the week before. My biggest piece of advice (besides the whole make sure you know what they want part - b/c my friends had zero guidance for me) is to (a) allow yourself to be sappy and talk about love during the ceremony; and (b) practice, practice, practice. I wrote out what I was going to say, so I wouldn't forget it while scared, and practiced it in front of my BF (soon to be husband, now) about 12 times. 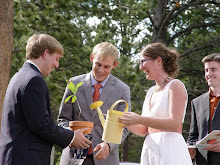 I'm a wedding officiant, and I create highly personalized ceremonies for my couples, which guests always tell me is what definitely sets my weddings apart. I find when an officiant talks about love - it's just another "officiant" talk, and rarely inspiring. I spend a lot of time by having my couples fill out profiles, and then asking them a series of questions that help me incorporate their personalities into each ceremony. 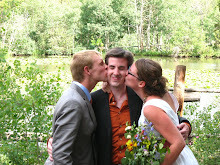 My husband and I had the woman who introduced us, as our officiant. She has a small and new officiant business in another part of the state (California), and had practice, so we thought it would be perfect. The only complaint I would have is that no one heard her. In fact, in our video, which was shot by another friend standing directly behind us - you still can hardly hear her. I wouldn't have thought this would be an issue! If I could do it over, I'd make sure she practiced speaking loudly and clearly. Even our bridesmaids were trying to whisper "Speak up!" to her, to no avail. What matters most is that we heard her, I suppose. And we were still told it was a beautiful and unique ceremony. But everyone also said "...but I had no idea what any of you were talking about the whole time." Bummer! 1. Don't talk about yourself. Could anyone tell me who they, their friends and family were ordained through? We asked my cousin to officiate our wedding and we're having a really hard time finding a legitimate online church/company! Is it at all possible to be ordained online for free?? I've heard positive and negative things about Universal Life Church, but there are so many "ULC" websites. I don't know which is the actual website. Please help! Thank you! !